Dr. Cal Fowler (1929-2013), an engineer/manager who was deeply involved in early rocket development and manned space flight. This photograph was taken while he was at Warren Air Force Base, where he was Chief of Activation Engineering for the installation of the Atlas Intercontinental Ballistic Missile (ICBM). 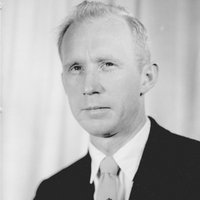 Dr. Fowler participated in the development of the Atlas missile and Mercury-Atlas manned launch vehicle. As manager of Launch Complex 14 (LC-14), at Cape Canaveral Air Force Station (CCAFS) in Cape Canaveral, Florida, Dr. Fowler personally pushed the button to launch the final three missions of Project Mercury. He continued to participate in missile and rocket development, as well as launches. Original black and white photographic print, August 1960: Private Collection of Dr. Calvin D. Fowler. Digital reproduction of original black and white photographic print, August 1960. “Dr. 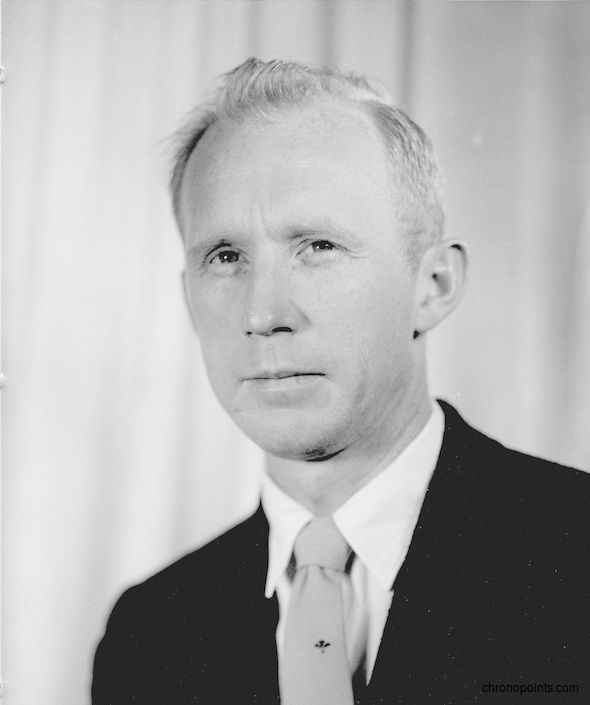 Cal Fowler, 1960.” RICHES of Central Florida accessed April 20, 2019, https://richesmi.cah.ucf.edu/omeka/items/show/6413.